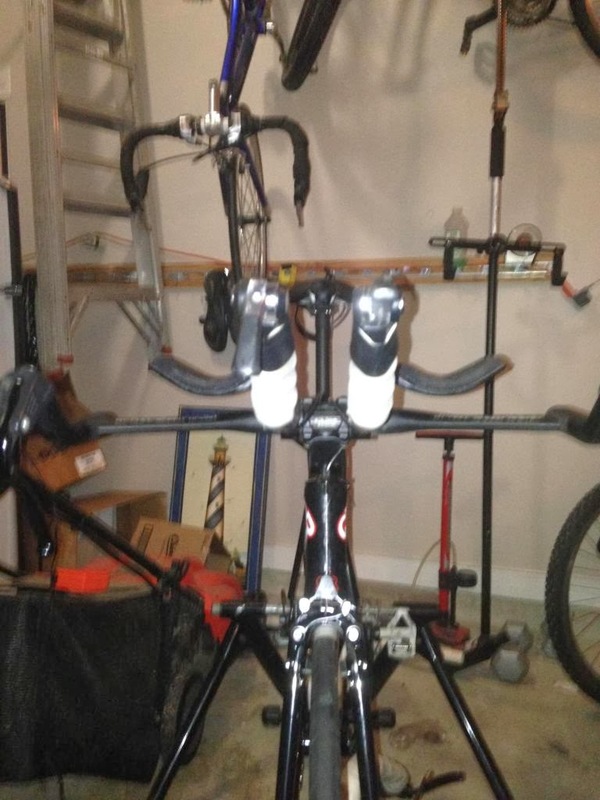 Previously we detailed a slick aero tuneup on a Cervelo P2, which was very nice but also a bit expensive with a high priced aerobar, and $300 worth of aero brakes and stems. So here is another take on the aero tuneup from Scott Morgan. Here are the before and after shots, nice! Is it worth it, how much does it matter? Is paying attention to skewer alignment to save a tenth of a second really a useful way to spend your time? Do you really need to pace intelligently or can you just bike "all out"? Do these theoretical rolling resistance and aero time savings really occur in the real world? I recently had the opportunity to compare two cases, from the same race, on the same day. I had access to the average power, height, weight, and equipment info of two riders who competed in the 2013 Austin 70.3 bike leg. The bike course at this race includes rolling hills, plenty of turns, and lots of imperfect pavement. It is very much a typical real world scenario. The difference was rather startling. This is a massive 49 minute difference for the two athletes, on the same day, producing similar power. How much of that can be explained by the difference in mass, size, and power alone? We can plug this data into the equations of motion of a cyclist along with a reasonable approximation of the Austin 70.3 course and see that size, mass, and power account for only about 15 minutes of the difference at most. This leaves 34 minutes unaccounted for over the 56 mile course. 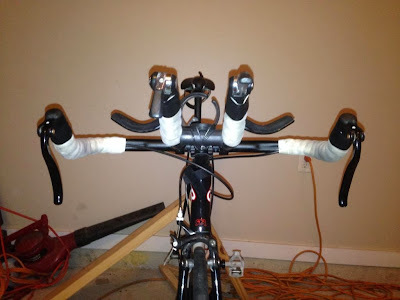 Both riders were on entry level TT frames, and used their aerobars. 34 minutes. Rider 2 put a lot of effort into her bike setup, rode the course ahead of time, and had an intelligent pacing plan and this paid off. Rider 1 is already well on his way to improving and I expect will surprise himself in the near future. Aero Tuneup Take 2 Cheapass Aero!